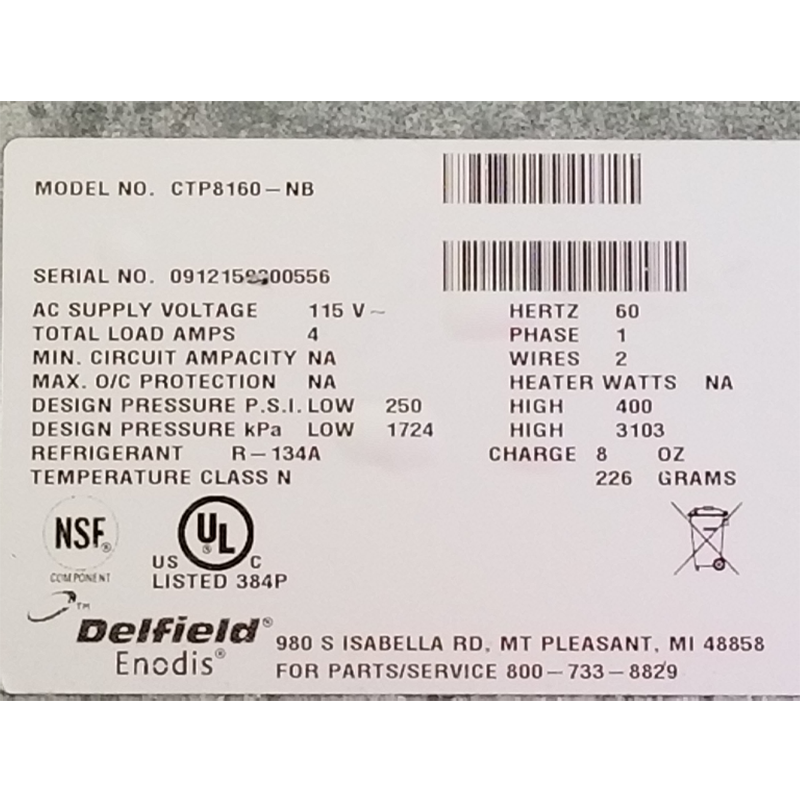 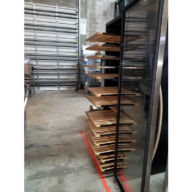 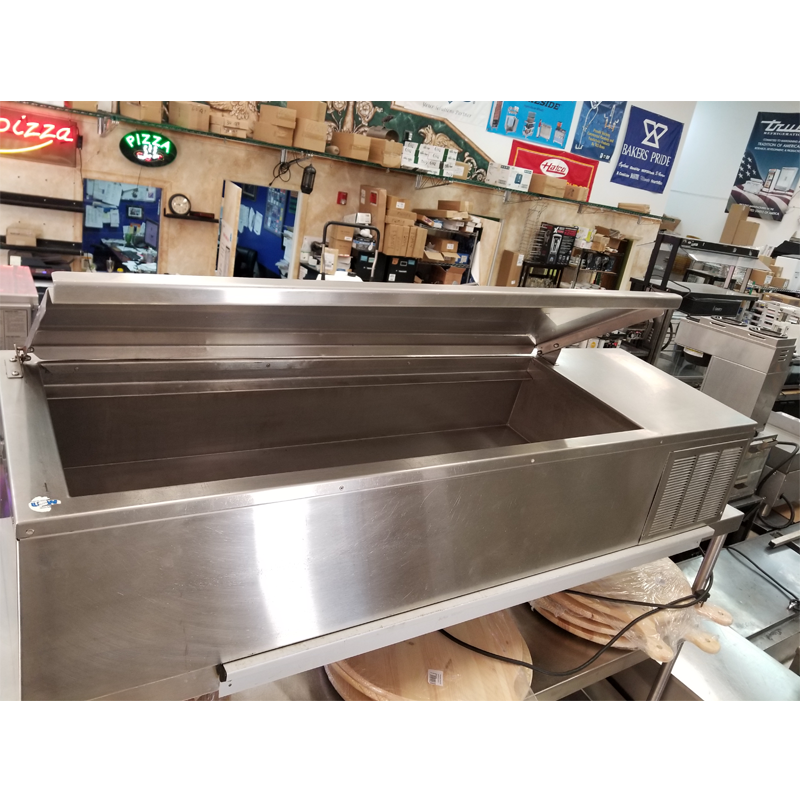 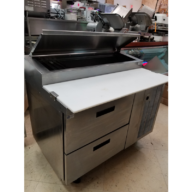 CTP 8160NB - USED DELFIELD REFRIGERATED COUNTERTOP PREP RAIL INCLUDES FREE SHIPPING - Delray Food Service Equipment & Reconditioning Inc. Exterior Top and Sides are 18-gauge stainless steel. 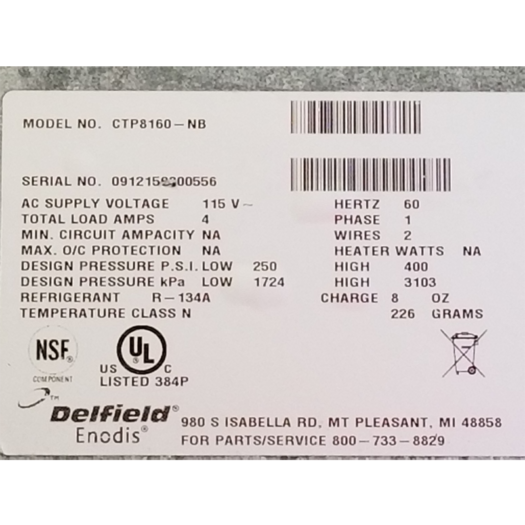 Back of unit is 18-gauge galvanized steel. 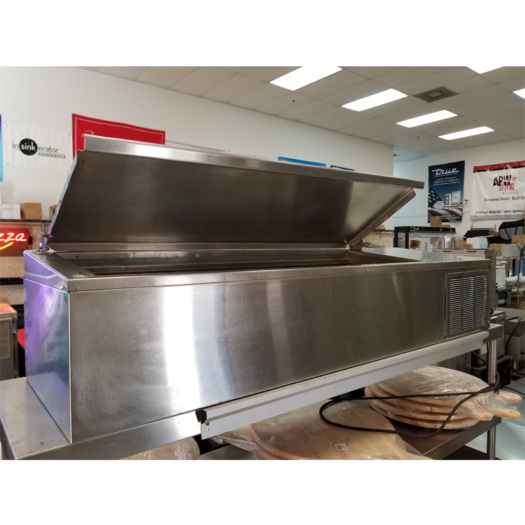 Unit has a mechanically cooled refrigerated raised rail with die-stamped opening(s) to accommodate 12″ x 20″ hotel pans, by others. 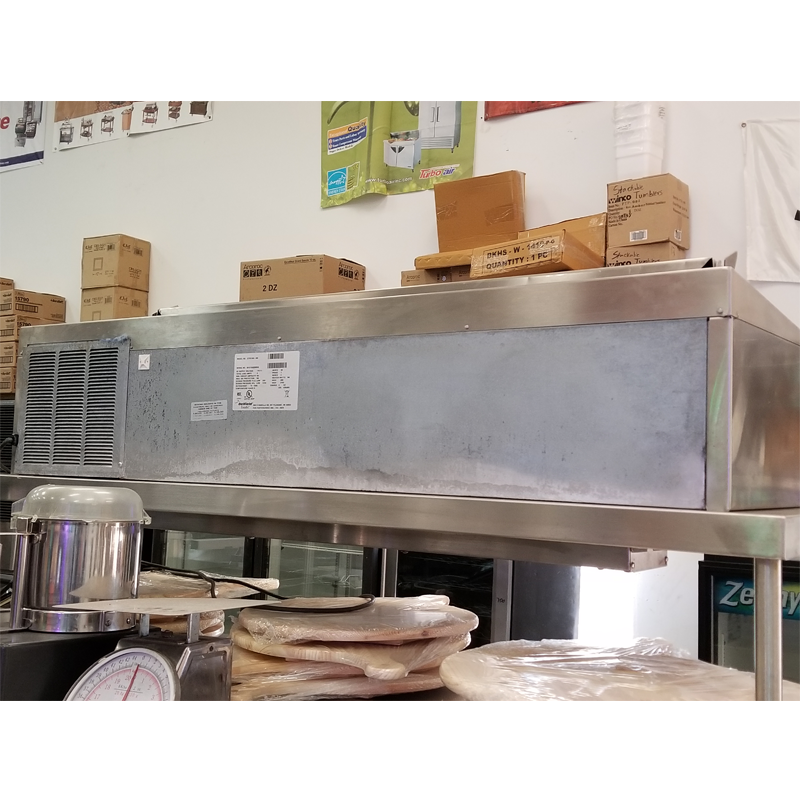 Pans are recessed 2″ from the top and rest on integral V-stamped supports. 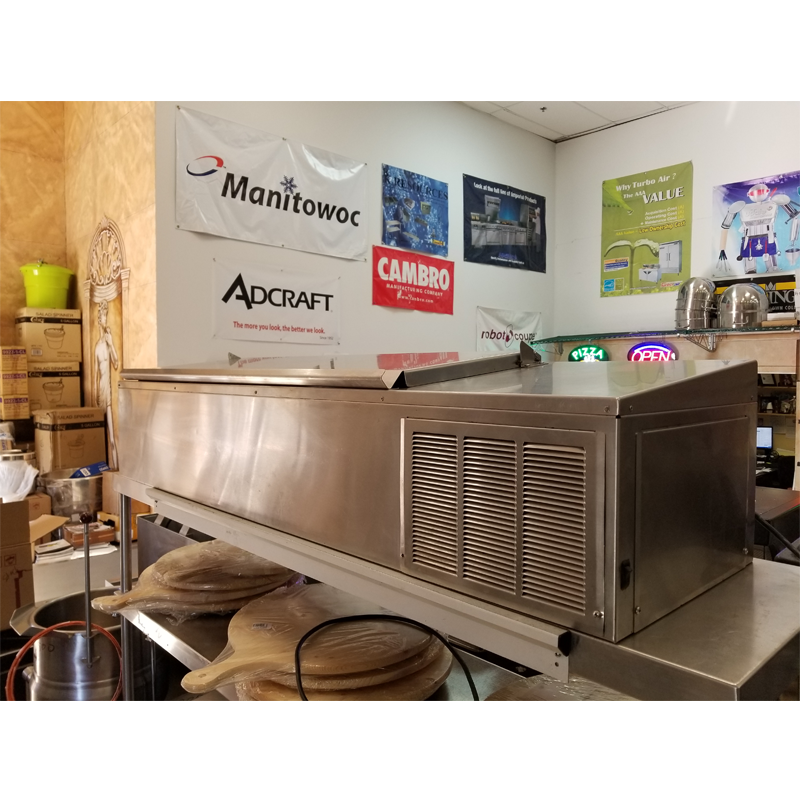 Raised rail openings have 18-gauge stainless steel hinged removable covers.